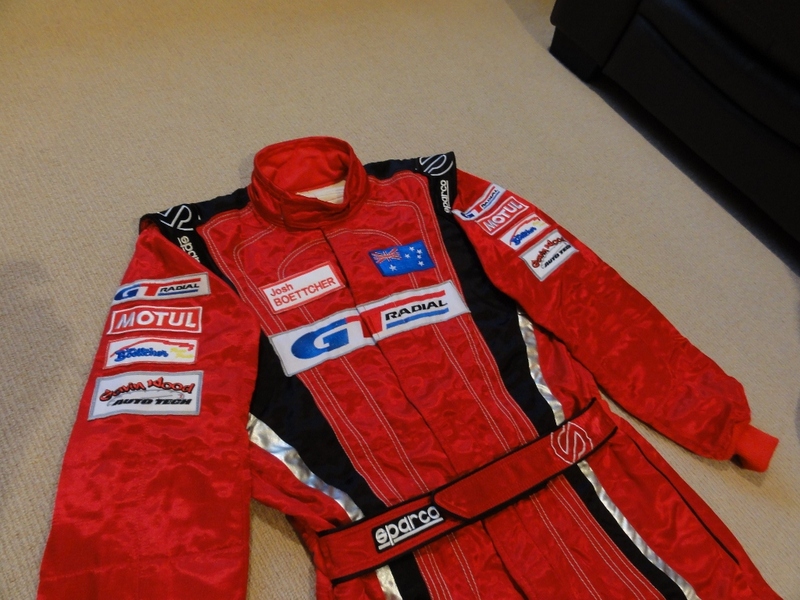 Home » Race Suit is READY! Here is a photo of my new race suit with the sponsors all sewn on and looking great! I can’t wait to put it on and get on the track in Singapore. Only a few days now!